This Masters level degree apprenticeship has been designed with the Chartered Management Institute to meet employer training needs for senior/high potential managers. This is a distinctive MBA, which is intellectually-challenging, insightful and focused on improving practice in the workplace across all areas of management, leadership and the functions of business. Learn more about Degree Apprenticeships. On graduation from this programme you will see a marked improvement on employee day-to-day performance, confidence and learning in the workplace, as well as improvements in your ability to demonstrate new skills learned during the course. By combining experience with new management thinking developed over the lifetime of the MBA, you will see improvements in decision-making, contributions to idea generation and business improvement. providing an understanding of the external business environment, taking into account global perspectives, governance and accountability as well as social, technological and policy implications. This module aims to enable you to understand the different aspects of project management so that you can use this management skill within your working environment. This module aims to enable you to understand the sources, uses and management of finance; the use of accounting and other information systems for managerial decision making. This module aims to enable you to initiate and lead change in your organisation, with a focus on sustainable change at both a personal and organisational level. The course is taught in blocks of three days each month. LJMU offers employers a customised programme with in-company delivery options to suit your business needs. At the centre of our philosophy is the notion that we learn best from experience and applying our learning, so action learning and coaching are a key part of our programmes. This approach encourages strong peer learning groups where managers can learn from each other. Students are encouraged to share how learning has been applied and improved practice in their own workplace. Teaching approaches include recognising the workplace as a place to learn, self-development planning, flipped learning, coaching and peer-to-peer coaching, action learning, projects and masterclasses. See our Masters and Degree Level Apprenticeships brochure for further information on our teaching approaches. All assignments are applied to the workplace and include reports, presentations, projects and portfolio development. ​In addition to LJMU assignments throughout the course, learners will undertake an end point assessment to ensure they meet the Masters level apprenticeship standard. ​LJMU academic staff will visit apprentices in the workplace at various points throughout the duration of study. This is to ensure that apprentices are building their portfolio and linking learning to their current role. Andrew Doyle is an experienced academic who, after several years as a Senior Lecturer, took over as MBA Programme Leader in 2017. His academic work is underpinned by many years as a Managing Director and he is skilled in management, marketing, analytics and customer service. 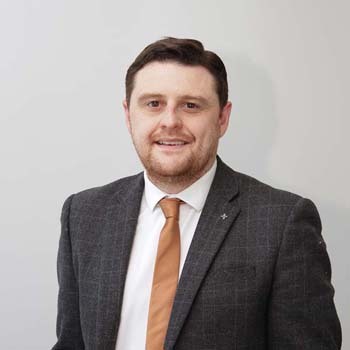 Since taking on his current role, Andrew has redesigned and developed a professionally led programme that brings together leaders and managers across the Liverpool City Region, and is rooted in the local economy, supporting economic growth and social change. He is uniquely positioned for this task after undertaking the MBA himself as a student in 2009, and has experience in all facets of business and higher education. 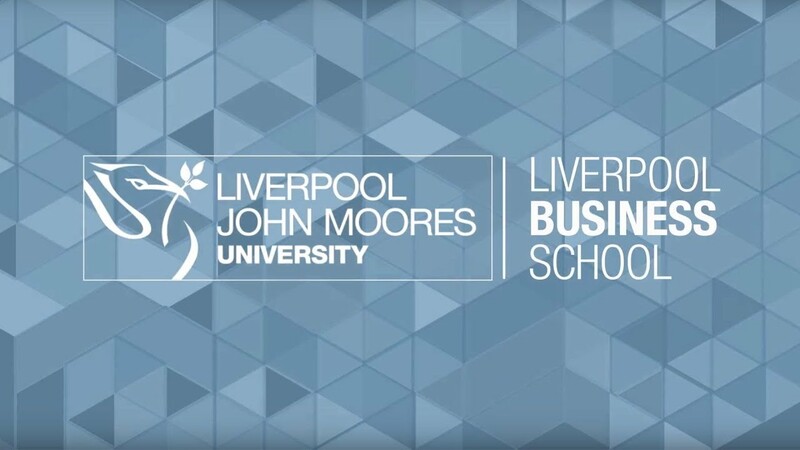 He made sure that the Liverpool Business School provides a distinctive postgraduate degree qualification which is intellectually-challenging, insightful and grounded in improving practice in the workplace across all areas of management, leadership, career development, and specifically the functions of business. Andrew lectures on environmental analysis and marketing performance strategy and firmly promotes the philosophy that you learn best from experience with action learning and the development of peer learning groups. Undertaking the MBA is a transformative experience, and understanding your own individual personal development is key. Delivering this knowledge and seeing it cultivate in students through professional growth and business success makes it all worthwhile.